With the release of my book, Devlin, I wanted to tell you a little more about it to give you an idea of what you are in for. If you happen to be traveling in the Blue Ridge Mountains of Virginia, north of Charlottesville, you may be strangely dawn to a tiny, hidden town, nestled far away from the bustle of the modern world. Its cobbled streets are lined with an eclectic collection of homes and buildings, adding to the uniqueness of the town itself. From the quaint shops that line Rowe Street, to the Gothic Church of St. Michael, to the Autumn House Bed and Breakfast, Devlin is picturesque, peaceful and pastoral. It has been hidden away from the world for over two centuries, and when I say hidden, I mean that only certain people can find it, and only if the town wants to be found. Life has continued this way for the people of Devlin since the late 1700s, living self-sufficiently in peace and harmony, but that is about to change. Beginning this Autumn, the people of Devlin uncover the truth behind the establishment of their town and discover an ancient plot that has spanned centuries, threatening the very existence of their town and the rest of the world. And as the town performs their yearly Halloween ritual, the world will never be the same. Devlin is much more than dark fantasy. It has elements of horror, paranormal, supernatural, and metaphysical. Devlin has something for everyone. I am an avid gamer; console, PC and role-play. The Waking Dream is nothing more than an exploration of our reality as a cosmic game. You can read more about the Waking Dream Universe in the following posts. 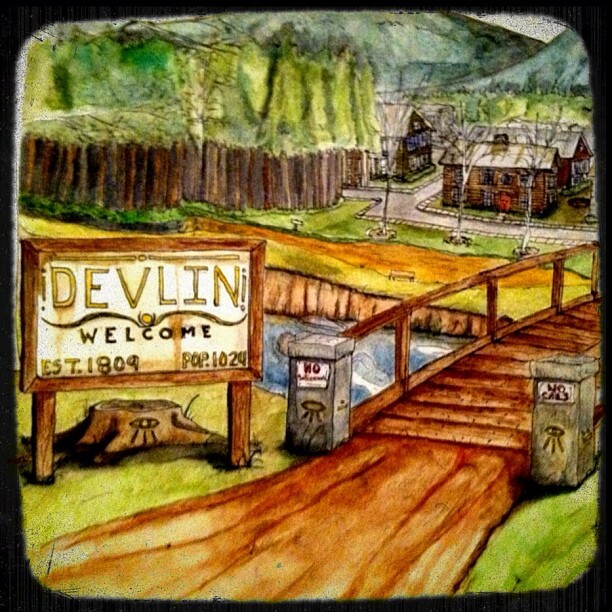 Devlin is on sale on Amazon and on all eBook readers.